Located in a valley on the northern bank of the lower Zab River, the city’s remains are now part of a mound created by human occupation called a tell, which rises about 32 feet above the surrounding plain. 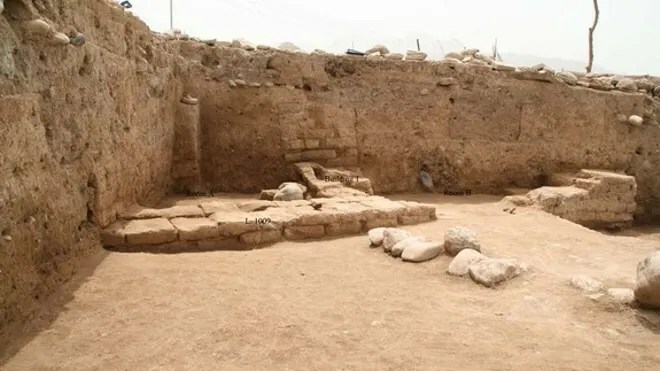 The earliest remains date back to Neolithic times, when farming first appeared in the Middle East, and a modern-day village called Satu Qala now lies on top of the tell. The researchers were able to determine the site’s ancient name when, during a survey of the area in 2008, a villager brought them an inscription with the city’s ancient name engraved on it. Excavations were conducted in 2010 and 2011, and the team reported its findings in the most recent edition of the journal Anatolica. “Very few archaeological excavations had been conducted in Iraqi Kurdistan before 2008,” Pappi wrote in an email to LiveScience. Conflicts in Iraq over the past three decades have made it difficult to work there. Additionally archaeologists before that time tended to favor excavations in the south of Iraq at places like Uruk and Ur. The effects of recent history are evident on the mound. In 1987, Saddam Hussein’s forces attacked and partly burnt the modern-day village as part of a larger campaign against the Kurds, and “traces of this attack are still visible,” Pappi said. The art and cuneiform inscriptions the team uncovered provide glimpses of the ancient city’s extravagant palaces. Another work that was created for the same ruler, and bearing the same inscription as that on the sphinx, shows a “striding horse crowned with a semicircular headstall and led by a halter by a bearded man wearing a fringed short robe,” Pappi and colleague Arne Wossink wrote in the journal article. Although digging is not currently possible, the artifacts already excavated were recently analyzed further and more publications of the team’s work will be appearing in the future. The archaeologists also plan to survey the surrounding area to get a sense of the size of the kingdom of Idu.